$chool i$ great. I am making lot$ of friend$ and $tudying very hard. With all my $tuff, I $imply can’t think of anything I need, $o if you would like, you can ju$t $end me a card. I would love to hear from you $oon. I kNOw that astroNOmy, ecoNOmics, and oceaNOgrphy are eNOugh to keep even an hoNOr student like you busy. Do Not forget that the pursuit of kNOwledge is a NOble task, and you can never study eNOugh. Q: Why did Karl Marx write in all lower case? Begin with a five-pound potato bag in each hand. Extend our arms straight out from your sides, hold them there for a full minute, and then relax. After a few weeks, move up to ten-pound potato bags. Then try 50-pound bags, and eventually try to get to where you can lift a 100-pound potato bag in each hand and hold your arms straight for more than a full minute. Once you feel confident at that level, put a potato in each bag. 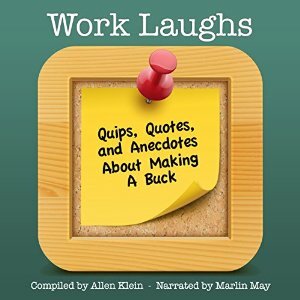 WorkLaughs is full of hilarious and witty anecdotes about making a living. 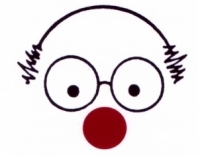 Comedians and others explore the funny side of many aspects of the workplace - including going on a job interview, sitting through meetings, calling in sick, dealing with the boss, retiring, and much more.